I have two questions regarding computers, business, and creativity: 1) Can you learn to be creative? 2) Why is technology the fore-front of creative business? Before I start, I should preface this with the caveat that I like to create beautiful things, but my business acumen is startlingly non-existant. Thus, I am addressing only the creative aspects of technology, rather than the profit-making side. At the surface, it would be immediately assumed that creativity is crucial to success in business. Steve Jobs, arguably one of the most successful men (twice-over, given that he founded Apple, left, and then forged the brand anew) recently gave a speech where he argued against market research. His statement, roughly paraphrased, is that “customers don’t know what they want.” His argument was against the tail-chasing market research that is so prevalent today. This is a common thread in creative matters. Don’t let someone else, or society, dictate your creation – just go do it. Apple and Twitter don’t rely on people telling them what they should make. I don’t think that creativity is necessarily a taught behavior. Some people are more playful and spontaneous, and this shows in their work. The key to innovation is harnessing this and wedging it into those technical matters – creating something new is still mostly sweat, blood, and love. The BCC has a great series of viganettes with the foremost technical innovators in the U.K. The common themes: Creativity must be blended with hard work, and prepare to fail in a spectacular manner several times. Why is technology the foremost arena for entrepreneurship? It isn’t a matter of technology and applications being the major player in innovation: It is just that the threshold is lower for entry. Any decent desktop (or even a powerful laptop) can access thousands of open-source development tools. For instance, I regularly use RapidMiner, Weka, Joomla!, Eclipse – the list goes on. For less than $1000, anyone with an iota of interest can set up a full production suite. This is the equivalent of a complete scientific laboratory – for free. When you combine free tools with humanity’s unlimited creative potential, the growth curve is going to be exponential. One thing that is fantastic is the open-source movement, and how it is embracing meta-tools. Eclipse, Ubuntu (Linux for Dummies, OS style), mySQL, the Wikis (i.e. Wikipedia and its far-flung relatives) – all of these make technology a self-perpetual machine. 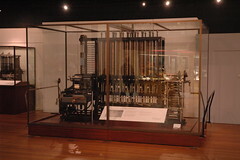 Charles Babbage would be proud to know what new paradigms the Difference Engine has created. 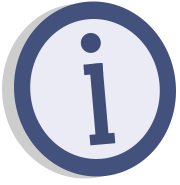 This entry was posted in Information Technology, Resource-a-rama and tagged Apple, Charles Babbage, Difference Engine, Joomla, Open source, RapidMiner, Steve Jobs, technology. Bookmark the permalink. I agree that creativity cannot be taught like math or typing, but it can be developed. It’s a skill just like any other that needs to be honed. I think we too often fall into the trap of thinking that following a set a set process cannot produce creative results. When we teach creativity I think we are really teaching someone how to organize their thoughts and think.